The Harpswell Foundation is a nonprofit organization whose mission is to empower a new generation of women leaders in Cambodia. We are looking for strong, independent young women to serve as Leadership Residents who will serve as role models for the Harpswell students. Leadership Residents must be self-starters with previous international travel experience who have the capacity to act resourcefully in a foreign environment. We ask Leadership Residents to join us for terms ranging from 3 to 6 month to live with the students at Harpswell’s two leadership centers, both located in Cambodia's capital city Phnom Penh. You are also encouraged to share your skills, talents, passions and interests with the students. Leadership Residents are needed year round. We ask for commitments of 3-6 months. Leadership Residents typically stay in Cambodia for three to six months. Leadership Residents are given free room and board and a stipend but must provide for their own travel to Cambodia. The average daily cost for volunteers is approximately $20 per day. No. 12, Street 13, Sleng Roling village, Sangkat Teuk Thla, Khan Sen Sok, northwest Phnom Penh, Phnom Penh, Cambodia. Over the past 10 years, we have had more than 100 leadership residents, and we will be happy to put you in touch via email, or help coordinate a Skype Q&A with them at your request. 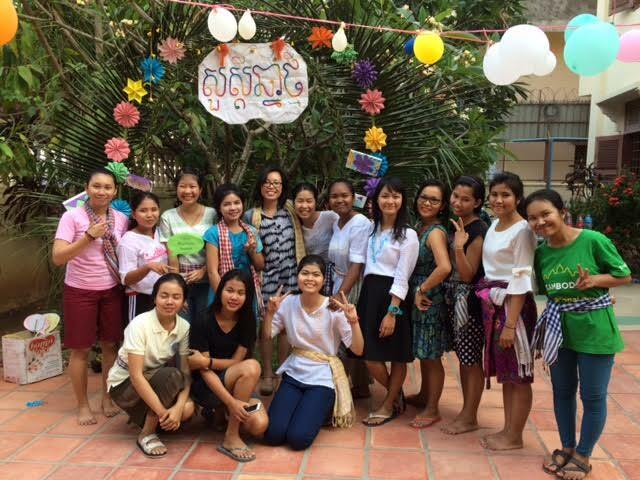 The mission of the Harpswell Foundation is to empower a new generation of women leaders in Cambodia and the developing world. Our strategy is to focus on a relatively small number of the brightest young people possessing leadership potential and to nourish that potential. In particular, we provide housing, education, and leadership training for outstanding young women. The Harpswell Foundation is politically neutral. We at Harpswell Foundation would love to hear from you!